Don’t create a sluggish look of your blog with useless feed buttons at every corner. Just take a deep breath and work on to create a subscription page. You can provide your users with different instructions to subscribe to your page. You can explain different areas of your blog for subscription purposes. 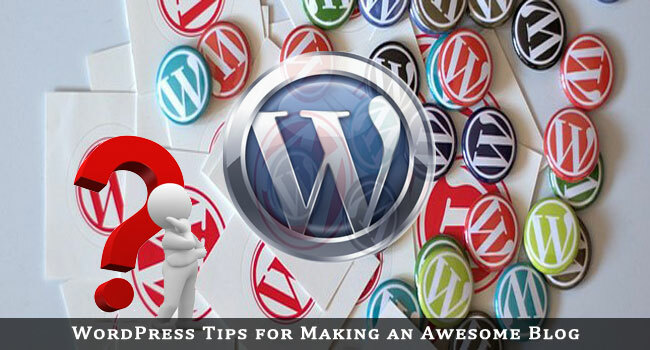 By using WordPress, you can do it with great ease. It will simply provide an option to subscribe all the content of your blog through RSS feed. It’s really interesting to have access through RSS. If you don’t have many categories and tags, then you can easily provide a complete list of separate links, which is a good idea indeed. Similarly, you can also provide a news feed option, which can attract them further. Never forget to add comments option and you can install its plug-in to facilitate them through subscription. Through this way, readers can easily revive an e-mail, which will inform your users about their entry or reply on your blog. You have to explain it well on the blog page too. SEE ALSO: Full RSS Feed or RSS Summary: Which is Best for You? For the first timers, it’s very important to know how the visitors are invading your blog and what they can expect from you. Their liking and disliking regarding the content is also very important. Go deep and think fast what they are expecting from your blog, and arrange everything in accordance with their aspirations. If you want to take a look at the “statistics,” then you should install JetPack, which is free for you and you can better judge the readers with its help. This software will not only inform you regarding the intake and interest of people, but at the same time, it will show you their interests like what they are up to and why they are reading the certain content. You cannot deny the importance of specific time when you can expect maximum number of users to step into your blog. Different bloggers are of different opinion about this time phenomenon, but still, its recommended and appreciated if they post it. If it is fresh, then they can grab the maximum number of readers. It’s true if you are promoting news content. Obviously, people want to know something as it happens. Nobody will pay attention to some old news story. Hence, in that scenario, time counts a lot. So, keep it in time and post the blog post at specific time. Mostly, online marketers and well-known bloggers want to know the best time to post their posts. So, it’s good to hammer the post at the time when it is needed, otherwise, it will become not more than a useless crap. Information should be spread on the time when it’s needed. Similarly, if you want to address a large number of audiences, then post your blogs on time. For new comers, it’s good to build a relationship between social media networking sites and your most loving blog. Definitely, you will get more hits through social media networking. Like hits, new customers can also join your informative blog within a few weeks. So, avail the magic of social media networks and take benefit out of it. You can use “WordPress AddThis Widget” tool, which will allow a user to share the link of your site on some other site as well as on social media networking sites like Facebook, LinkedIn, twitter or Digg. It’s a must have too, as it will bring some good to your blog. WordPress users can install attractive themes for their blogs. 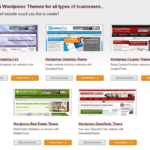 “Theme Warrior” is a better option to have your free themes for WordPress blog. It is a famous WordPress theme providing site. 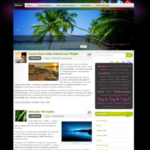 Now, it is offering its free themes for WordPress blogs, which includes Picture Box, Hardwork, Blogue and BreakingNewz. 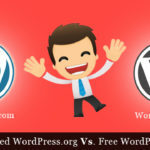 It’s quite impressive to have some free stuff for your WordPress blog while you don’t have to spare some money. Like free themes, free templates are also available for your WordPress blogs. All you have to do is to log on to freestuff South Africa dot com. Here, you can get some free templates for your blog. You can also leave a footer link in the respective template to promote it further. These templates are best for small business blogs on WordPress. So, if you are also having a small business blog, then rush for it. These templates are well-designed and can suite your blog needs very easy. Now, it’s up to you how you decorate your blog like a shining star among millions of competitive blogs and websites. Remember one thing that content cannot drag a user on your blog, until it is executed well to attract a huge number of readers. So, do this way, and make it a successful blog.